Assisted by our team of hardworking professionals, we are indulged in offering an extensive gamut of Terracotta Wall Hanging Mask. At Manglam every product is unique but out of them there are some "MASTERPIECES" which are personally collected by us from all over the world, these products are guaranteed to be the only one piece available for a lifetime and cannot have a replica also. 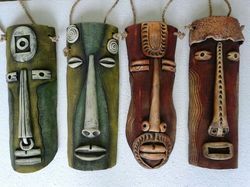 Enriched by our vast industrial experience in this business, we are involved in offering an enormous quality range of Terracotta Mask. 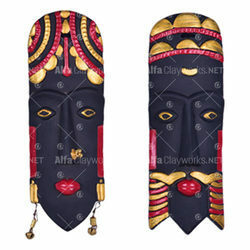 With our in-depth knowledge of this domain, we are actively engaged in offering an excellent quality assortment of Terracotta Wall Hanging Mask.